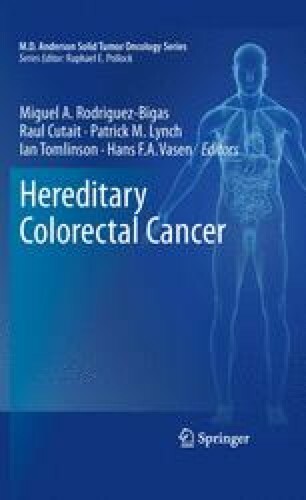 Hereditary nonpolyposis colorectal cancer (HNPCC), an autosomal dominant condition caused by mutations in the mismatch repair genes, accounts for 20–35% of inherited cancers and 1–7% of colorectal cancers (CRC). Colonoscopic surveillance reduces the incidence and mortality of CRC. Not all mutation-positive individuals comply with the recommended screening. The aim of this study was to identify factors that influence compliance. This qualitative study involved the division of mutation-positive individuals into a compliant and a non-compliant group. The study showed that a healthy, cancer-free life motivates individuals to comply with surveillance, while non-compliant individuals are unaware of or misunderstand reasons for regular surveillance. Barriers to compliance include the colonoscopy procedure, painful colonoscopy experiences of family members, ignorance about the increased risk of developing CRC and ignorance of the genetic test results. A clinical–genetic HNPCC service requires a cancer genetic counselor who highlights the importance of surveillance while addressing genetic properties of this preventable disease. Stoffel EM, Garber JE, Grover S, Russo L, Johnson J, Syngal S. Cancer surveillance is often inadequate in people at high risk for colorectal cancer. J Med Genet. 2003;40:e54. http://jmg.bmjjournals.com/cgi/content/full/40/5/e54.